Grosvenor Lawn Tennis club is located just to the north of Upminster which is ideal if you are looking to play tennis in Essex. We cater for all standards of tennis player across all ages. So whether you’re looking for a tennis club in Upminster or in the surrounding area of Essex with an active and enjoyable social scene, a competitive match play program and a coaching scheme to improve your game, we’ll be more than happy to welcome you into the club. Grosvenor enters numerous teams into leagues throughout the summer and winter seasons. Teams are entered in to the Essex League, Romford and District League and Brentwood League. Please see our dedicated teams page for more details about our competitive tennis. We offer tennis coaching to players of all standards and ages. Our club coach runs private and group coaching throughout the week and at weekends. Coaching sessions for juniors take place after school and at weekends. Please see our tennis coaching page for further details. Grosvenor Tennis Club is always looking to encourage young tennis players to improve their fitness and develop their tennis skills. 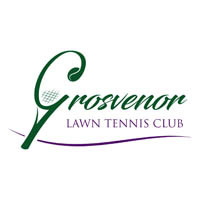 Grosvenor runs junior tournaments throughout the year and enters teams into junior tennis leagues as well as providing tennis coaching for players of all ages. For more information see our juniors page. There are many tennis clubs in the Essex area, but have you found the right one for you? If you are looking for a friendly yet competitive tennis club in Upminster or Essex, we could be the perfect match for you. If you need any further information about the club or our membership packages please contact us.